Josh Jensen's winemaker mentors in Burgundy were adamant that pinot noir and chardonnay must be grown in limestone-rich soils, as present in the Côtes d’Or, to make great wines. 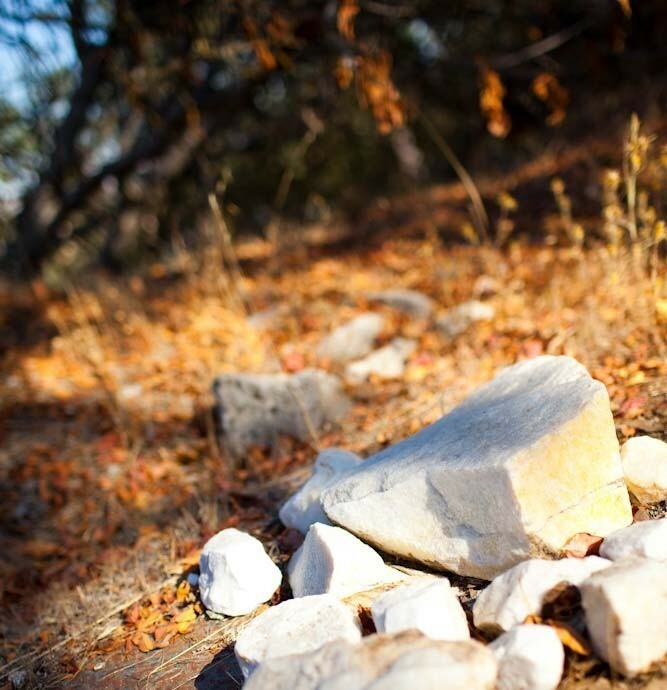 Upon his return from France in 1971 he spent two years searching throughout California to find limestone. In early 1974, Josh Jensen purchased a high-elevation parcel with a limestone deposit of several million tons. Located 100 miles south of San Francisco and about 37 miles inland from the Pacific Ocean, the limestone-rich parcel is found near Mt. Harlan in San Benito County. 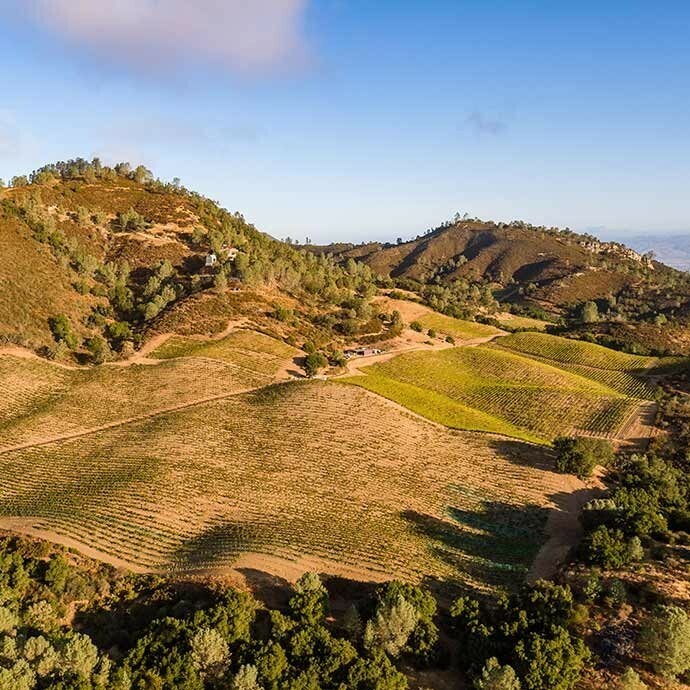 Its elevation at 2,200 feet above sea level makes it one of the highest and coolest vineyard properties in California. Limestone had been commercially quarried from the Mt. 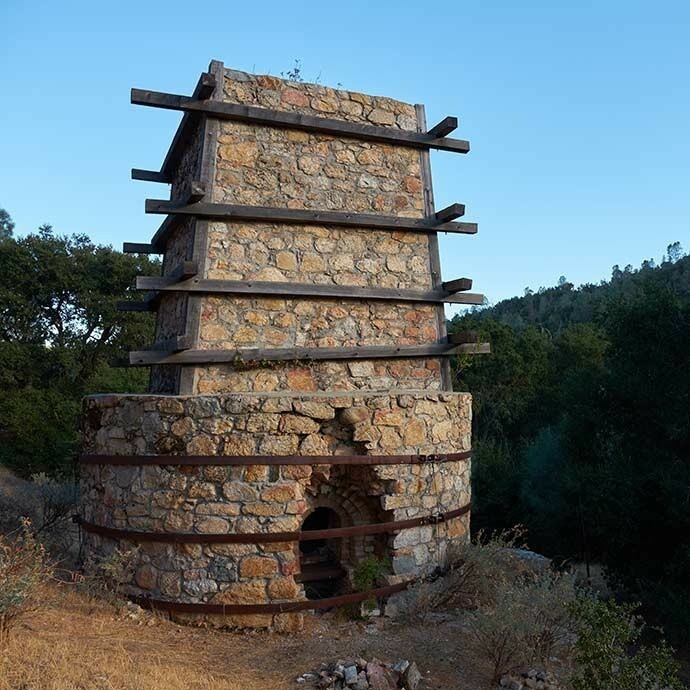 Harlan property a hundred years earlier, and to this day, next to the Viognier vineyard, there stands a magnificently well-preserved 30- foot tall masonry limekiln. 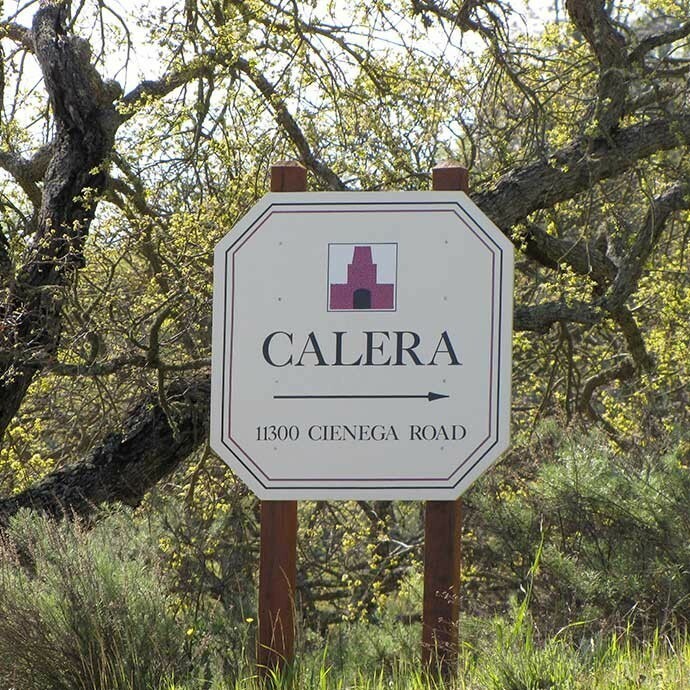 The name “Calera” is the Spanish word for “limekiln,” which serves as the winery’s symbol and appears on every bottle of wine. 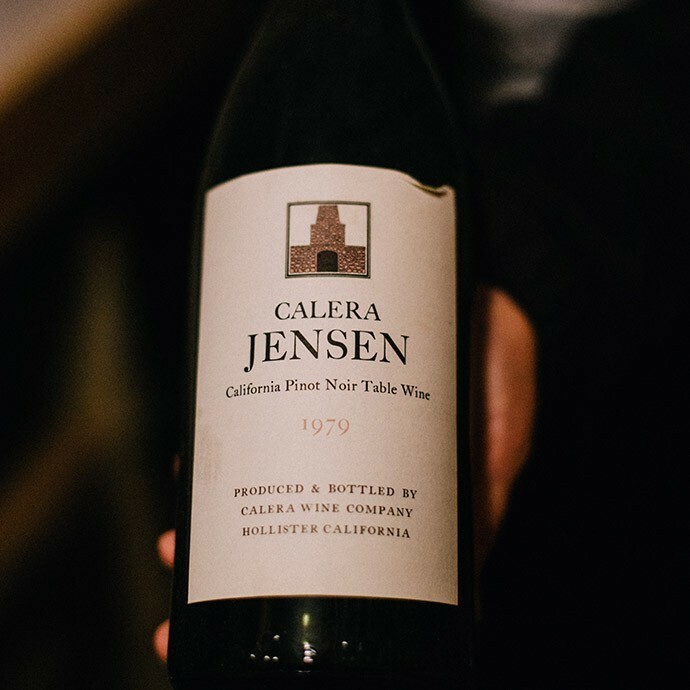 Josh made Calera's first wine in 1975, 1000 cases of zinfandel, produced from purchased grapes. 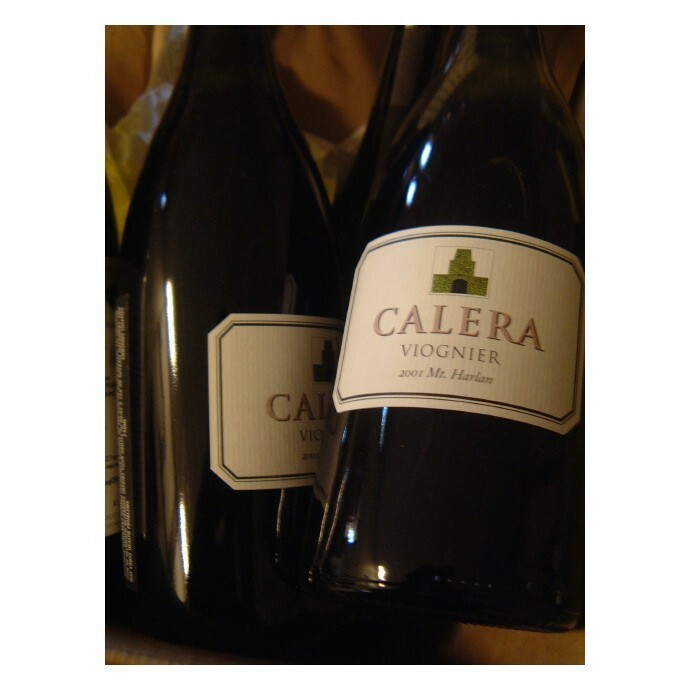 During his first two years as a winemaker, he made the Calera wines in a rented space in a larger nearby winery. In 1975 Josh planted his first 24 acres of pinot noir in three separate parcels. In the Burgundian tradition, he named each parcel individually to emphasize the fact that each would produce a distinct wine. 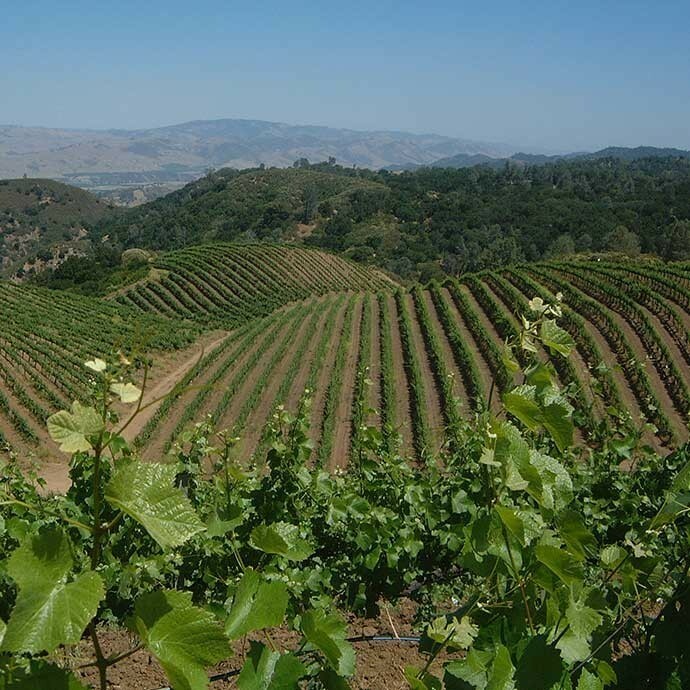 The original plantings are the Selleck Vineyard (5 acres), Reed Vineyard (5 acres), and Jensen Vineyard (14 acres) pictured here. In 1977 Josh purchased property on which to build the winery. He chose a 100 acre site on Cienega Road halfway between the vineyard and the town of Hollister. Located 1000 feet lower in elevation than the vineyard, this property was blessed with the all-important attributes of a paved road and both telephone and electrical service (services which to this day are unavailable on Mt. Harlan). The three founding vineyards Selleck Vineyard (5 acres), Reed Vineyard (5 acres), and Jensen Vineyard (14 acres) produce their initial tiny crop in 1978 and continues to present day. The 1979 vintage of Jensen pictured here, showcases one of the original bottlings of the vintage. Josh purchased a neighboring 300 acres of the limestone laden mountain in 1982. When he planted 2 acres of viognier on its slopes in 1983, he was one of California's first winemakers to explore this variety. In 1984, Josh planted his first chardonnay vineyard (6 acres) and his fourth pinot noir parcel, the Mills Vineyard (12 acres). In 1989 he added 3 more acres of viognier. A 13 acre parcel of pinot noir was planted in 1997, in a steep field that lies between the Jensen and Mills Vineyards. 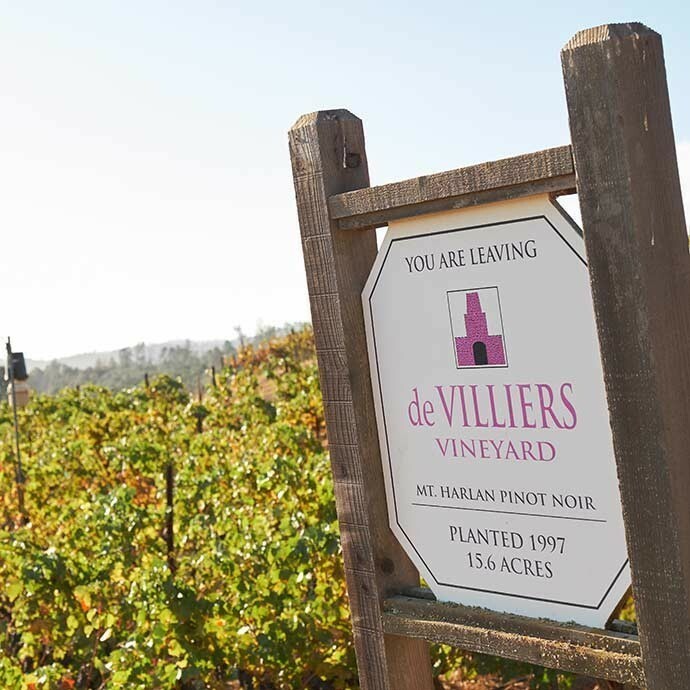 In 2007 the vineyard was name de Villiers and for the first time labeled as a single vineyard pinot noir. The Calera limekiln was also restored in 1997. 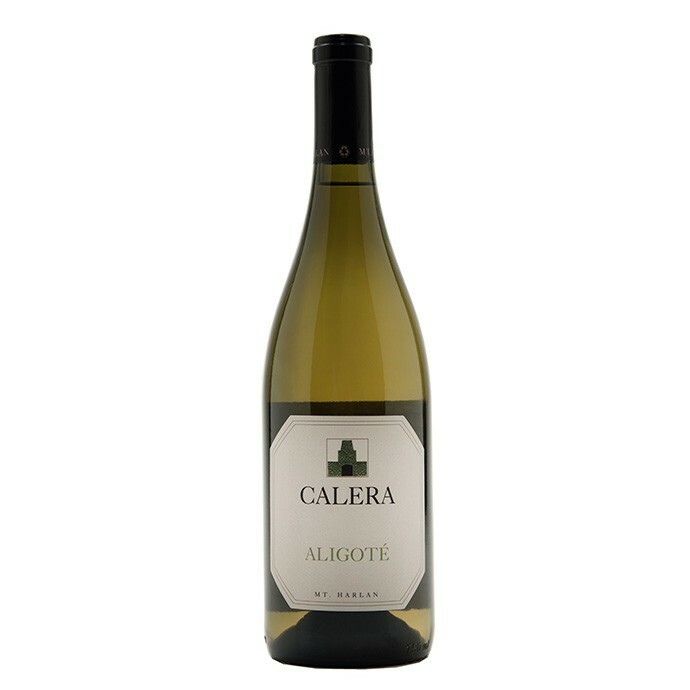 Calera is one of the original producers of Aligoté in California. Approximately half an acre total is in production between locations in the Jensen and original chardonnay vineyards. 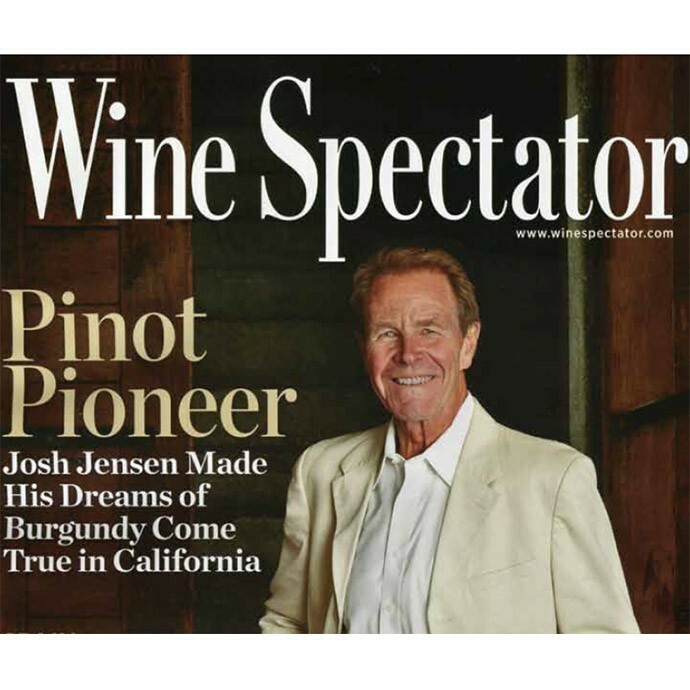 Josh Jensen is spotlighted by Wine Spectator as a Pinot Noir pioneer. The article details Josh Jensen’s story and his dream to make Burgundy-style Pinot Noirs in the remote mountains of central California. Overcoming many obstacles to establish the Calera winery and vineyards on Mt. Harlan, he is recognized for making Calera one of the top Pinot producers in California.